Have you ever considered dueling pianos? The all request show is taking the wedding industry by storm – here are the top 10 reasons why! Dueling Pianos will play what you want to hear… on the spot. 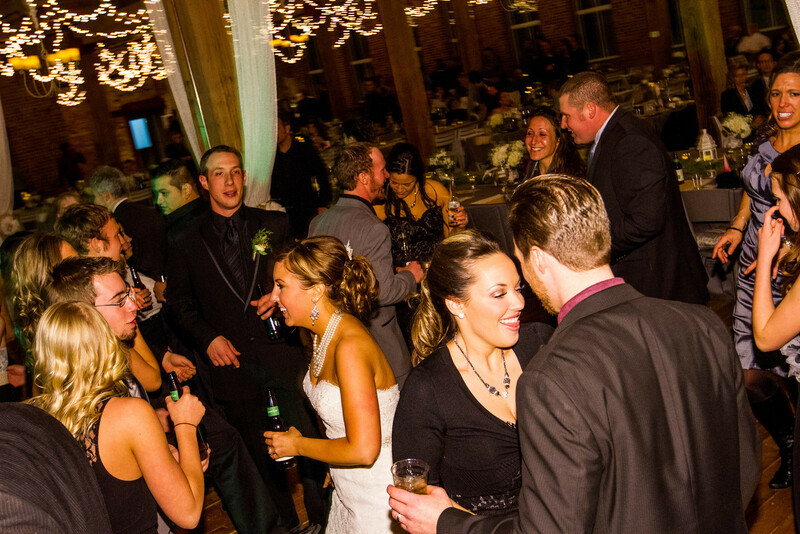 Many DJ’s will want a list of songs you want way in advance so they can get their playlist together… so what do you do if you have a sudden and unexpected urge to hear the Backstreet Boys halfway through the reception? No ceremony musicians? No problem! So you’re dying to have your favorite love song played during your ceremony, but aren’t sure the church organist will do it justice. Have your pianist perform, we’ll also provide the sound system for your officialnt! They throw a swanky cocktail hour. Before you’re ready to dance the night away, Dueling Pianos can also provide great background music for your cocktail hour. From old school jazz to Disney classics… whatever your taste demands, they can provide it. You won’t just be dancing… you’ll be laughing. As if every one of their shows isn’t enough training for them all to be comedians, many of them have improv comedy experience and have even studied at Second City. Sure, they play piano. But that’s not all they do! Most of their dueling pianists play more than one instrument. Does your favorite song have a sax or trombone solo? A harmonica or guitar part that really makes the song? Let them know… they’ll make sure it’s there! You still get the DJ! If you’re absolutely set on part of your evening being DJ’ed, you don’t even have to hire a separate company. Our players specifically have been trained in how to DJ weddings! Every show is unique and a one of a kind experience. This is especially true if you’ve never seen dueling pianos before, but even every dueling pianos show is different! Why? Because every crowd is different. They’ll play whatever you tell them to play, and that means every show is as unique as a snowflake. Live music but without the wedding band price. Dueling pianos prices should fall between those of a DJ and those of a high end wedding band. Don’t hire your neighbor’s garage band to save money, get a dueling show for the same rate but with much more experience in weddings…I mean, it’s kind of an important day. They’ll emcee the whole shebang. If you need it, they’ll do everything from introducing the wedding party to officiating games and events throughout the evening. To get Felix and Fingers at your wedding, click here!